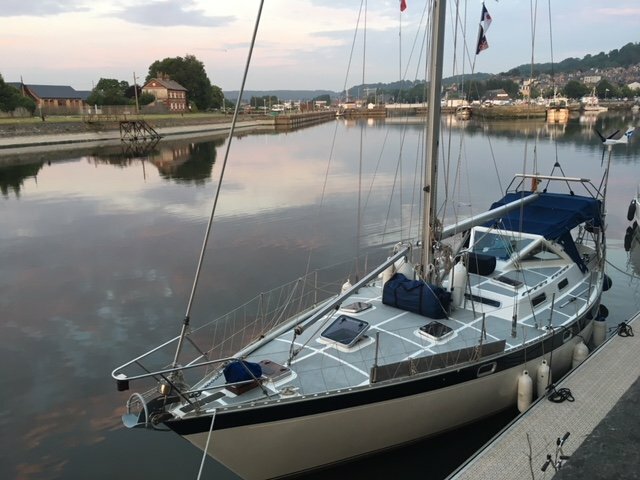 22 hours after leaving Weymouth, averaging 6+ knots, we arrived in Honfleur. 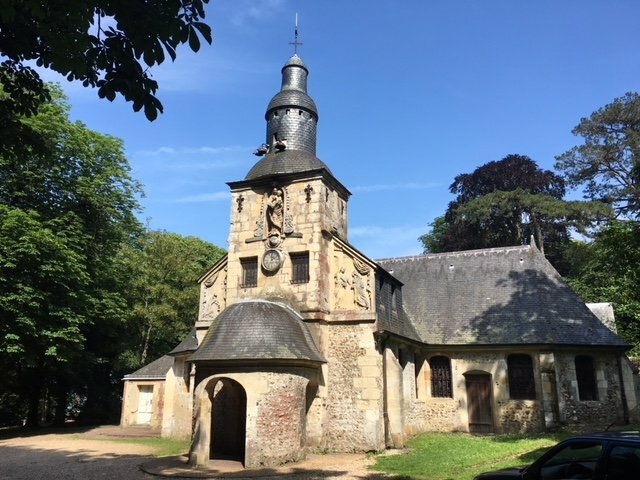 What a great place to spend a week as we wait for the right tide to take us up the Seine to Rouen. We ‘climbed’ up to Notre Dame de Grace (ancient sanctuary chapel) with stunning views from Mont Joli over Honfleur and wandered all over this pretty and historic town. But it’s not all leisure and pleasure as we’ve taken the sails off OR in preparation for her transformation to a canal boat. So far she hasn’t protested! We are, of course, socialising but then you wouldn’t expect anything else from us and it is a very effective way of garnering information!